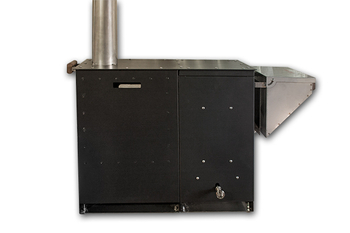 The Cascade cook stove / oven combo is a Venturi down draft gasifier that combines both cooking and heating! 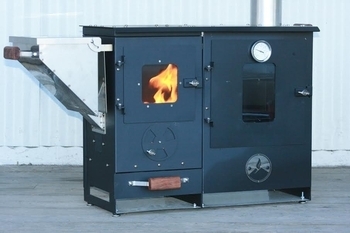 The controlled gravity fed pellet hopper provides a steady rate of efficient combustion, with fine ash as the end product below the firebox in the removable ash drawer for easy cleaning. 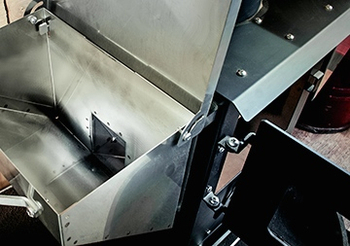 Reduced heating or temperature control is provide by the pellet hopper gate that can retard rate of gravity fed fuel. 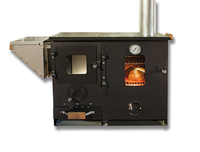 Wood fuel may also be used directly in the firebox. This cook stove oven combo utilizes 100% natural renewable fuel options, with no additives or chemicals (unlike BBQ briquettes or coal burning products). 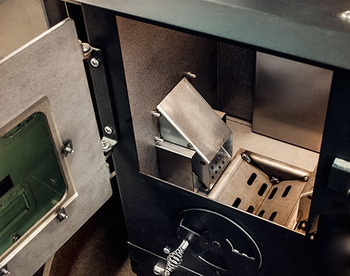 Protect the environment and burn clean with the Cascade cook stove / oven combo. The Cascade cook stove can be used for heat, cooking, baking, grilling, tailgating, camping, emergency preparedness, and so much more. The stove pipe on this unit is removable, making it easy to pick up and get cooking outside. It fits in most vehicles and is the perfect size for an RV side storage compartment, apartment balconies, or as the center piece in your outdoor kitchen. •Unit Dimensions: 39w x 13d x 75t in.